Stonehenge is not simply a circle of standing stones, although that is certainly what is the most apparent. 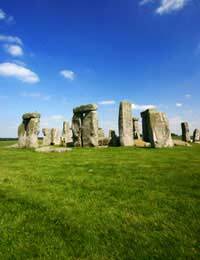 The stones stand in a ditch carved out around 3,000 BC, and as the stones themselves (or at least their placement) date to around 2,200 BC, the construction of Stonehenge was not an overnight accomplishment. This is one factor that many legends do not take into account, as they ascribe the erection of the stones to magic or as the work of massive giants, things that one would assume would not take thousands of years. One myth suggests that King Arthur was responsible for the creation of the stone circle, harnessing the power of 15,000 knights and one wizard to do so. The stones were in Ireland, and obtaining them necessitated the killing of 7,000 Irish, who didn’t want to give up their stones. All the king’s men couldn’t move the stones, however, but Merlin managed to magic them to their resting place in Wiltshire. The Stonehenge myths and legends are in danger of being permanently affected by modern day tourism. Around the turn of the last century many of the stones had fallen or were leaning precariously. A great undertaking restored the monuments, but now a fight is on to move two major roadways that pass right by the ancient site, without damaging it in the process.